Our beautiful wife, mom, and grandma, Elaine (Toby) Facer was called to her heavenly home on Thursday, August 9, 2018. 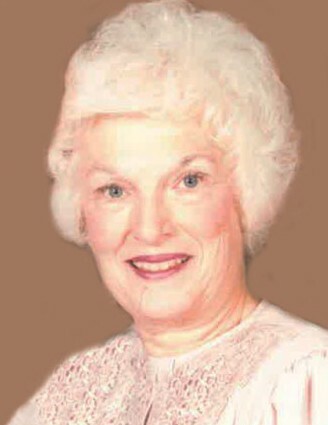 Elaine was born to Chester and Goldie Freeman on August 1, 1929 in Schuyler, Nebraska. Elaine's family moved to Boise, ID when she was a young girl. Elaine loved Boise. She took great pride in the jobs that she had at the movie theater and the Boise state capitol. Elaine met the love of her life, Don, when she went to his Boise doughnut shop on a lunch break one afternoon. Don and Elaine married on October 4, 1948 and moved back to Utah in 1950. Over the next few years, they were blessed with two beautiful little girls, Cindy and Christy. Elaine was a wonderful mother and took great pride in her daughters. Elaine loved fancy clothes and jewelry. She always looked beautiful no matter where she was going. She loved to get dressed up and go shopping and out to lunch with her family. Elaine loved her family so much. She was so proud of everything they did and spent her life supporting her husband, children and grandchildren. Elaine was heartbroken when she had to endure the loss of her spouse and two grandchildren. We can't imagine the joy she felt when she was welcomed home by Nate, Angie and the love of her life, Don. Elaine is survived by her daughters, Cindy Maxon (Brad Vernon), Christy (Tom) Moore; grandchildren, Shelley Dawn (Kory) Richins, Jason (Lindsay) Moore; 9 great grandchildren; 4 great-great grandchildren; brothers-in-law, Boo (Shirley) Facer, and Bill Roberts. Elaine was preceded in death by her beloved husband; Don; grandson, Nathan D. Maxon, granddaughter, Angela D. Fitzgerald; sister, Regina Roberts; and her parents, Chester and Goldie. Graveside services will be held Monday, August 13, at 12 Noon at the Coalville City Cemetery. The family would like to thank the community for the outpouring of love and support at this difficult time. They would also like to acknowledge the staff of the Family Tree and Symbii Home Health for the compassion and care given to Toby. A special thanks to Harla, Carol and lifelong friend Shirley for being such caring and loving friends to Toby.